Juvenile idiopathic arthritis is also known as juvenile rheumatoid arthritis, or, less commonly, juvenile chronic arthritis. This disease , like the rheumatoid arthritis and ankylosing spondylitis, belongs to a group of rheumatic diseases. Its cause remains unknown. In the course of juvenile idiopathic arthritis the severe changes in the musculoskeletal apparatus, as well as in other organs and body systems occur. Juvenile idiopathic arthritis occurs before the age of 16, and it is slightly more common in girls than in boys . Is the most common of all inflammatory rheumatic diseases occurring in children. The early symptoms are non-specific . These include the lack of appetite and the decreased activity . These symptoms can often be mistakenly taken as the symptoms of the flu, since they may be accompanied by fever and joint pains. Along with the development of disease there is a progression and worsening of the symptoms . 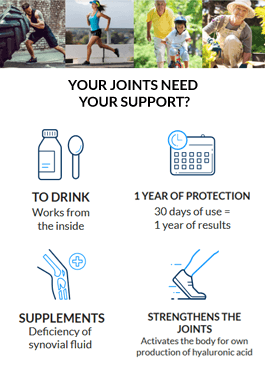 The difficulties with mobility and performance of daily activities occur, followed by the rapid fatigue and swelling of the affected joint, which is one of the cardinal clinical feature of the disease. as well as the small joints of the hands and the feet. Swelling is persistent and it may be difficult to detect clinically, especially for such joints as sacroiliac, shoulder or temporomandibular joints. In order to make an accurate diagnosis and reduce the chance of developing complications, the ultrasound or magnetic resonance imaging is performed. Juvenile idiopathic arthritis may occur in a few major types. The determination of the subtype of the disease is mainly based on its origin, and, to a lesser extent, on its further development. the enthesitis-related form with the inflammation of the insertion points of the tendons ; it occurs most often in boys after eight years of life, its onset is characterized by inflammation of joints along with the enthesis, sometimes it is also accompanied by the inflammation of the eye.